I see the form is in your My Forms Trash folder because it had been deleted. 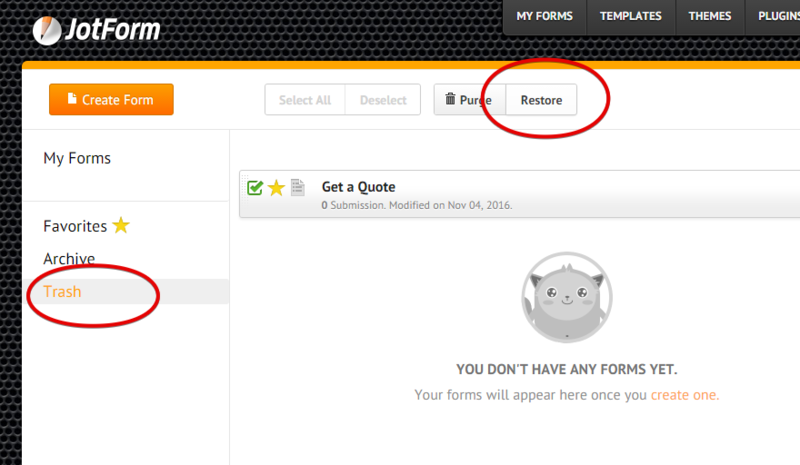 You can restore the deleted form. Are there suppose to be more forms under this account? Let us know and we will investigate further.